Our center provides a loving, nurturing atmosphere for young children. Our goal is to work closely with parents so that our care closely resembles that of the home. We promote positive physical, intellectual, social, and emotional growth for all of the children in our care. 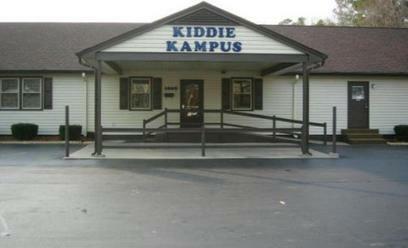 At Kiddie Kampus of Wilson, we take care to provide our customers high quality services personalized for their unique needs. Our staff members are professional, courteous and efficient. Each of our pre-school classes prepares children for Kindergarten. Recognition of letters, numbers, shapes, and colors are only the beginning of what the children learn in our program before going to school. They begin learning the basics in younger classrooms and are presented with greater challenges as they progress through each age group. We provide transportation to and from most schools in Wilson County. Our after-school care program provides an afternoon snack, help with homework, large indoor and outdoor play areas for recreation, and teacher-directed activities for each age group. Please call us for prices!